Four cities and one county have joined Philadelphia and Berkeley, Calif. as the only jurisdictions in the U.S. to impose a tax on sodas upon their residents. Four cities and one county have joined Philadelphia and Berkeley, Calif., as the only jurisdictions in the U.S. to impose a tax on sodas upon their residents. San Francisco, Oakland, Calif.; Albany, Calif. and Boulder, Colo. passed soda tax measures on Election Day, Time Magazine reports. Cook County, Ill. — where Chicago is located — passed such a measure on Thursday. “My guess would be that there will be an explosion of cities… across the county that will pursue a soda tax,” Howard Wolfson, Senior Adviser to Michael Bloomberg, said during a Nov. 11 press conference. “This is an issue whose time has come.” Bloomberg donated over $18 million to support San Francisco and Oakland’s soda tax measures, according to Time. Cook County Board President Toni Preckwinkle said the tax will help the county raise revenue without adding additional property or sales taxes, while also encouraging people to avoid sugary drinks and thus reduce health conditions like diabetes and obesity, Chicago TV station WTTW reports. Cook County, San Francisco, Oakland, Albany and Berkeley’s soda tax charges 1 cent per ounce, Forbes Magazine reports. Philadelphia taxes 1.5 cents per ounce, while Boulder is instituting a 2 cents-per-ounce soda tax. The area in which revenue obtained from taxes will be applied varies city-by-city. Philadelphia’s soda tax revenue helps fund pre-kindergarten education, American City & County reports. Berkeley’s tax revenue goes towards nutrition programs in local public schools and public health community groups, while Oakland’s will be applied to nutrition programs for young people, the East Bay Express reports. Preckwinkle estimated that Cook County’s tax would bring in $224 million annually, the Chicago Tribune reports. 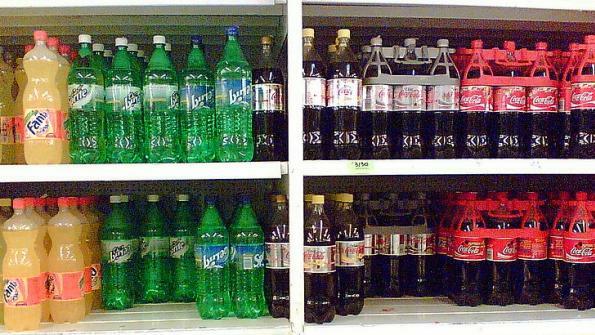 The tax will apply towards sweetened drinks like soda, iced tea, lemonade and sport drinks obtained from bottles, cans and fountains. While Boulder’s tax is estimated to only raise $3.8 million per year, its tax does not apply to diet drinks, according to the Albuquerque Journal. Oakland’s soda tax is estimated to generate between $6 and $8 million per year, the East Bay Express reports. The successful passage of these soda taxes has already encouraged other municipalities to enact similar acts. Santa Fe, N.M. Mayor Javier Gonzales has already proposed a 2-cent-per-ounce soda tax on sodas and sugary drinks that would funnel about $10.6 million annually to early childhood programs, the Journal reports. However, Santa Fe councilors voiced concerns about the proposed measure. The American Beverage Association (ABA) has voiced its opposition to such legislation. The ABA spent $20 million campaigning against San Francisco’s soda tax, Bloomberg reports. Soda companies have also voiced their dissent towards the matter.